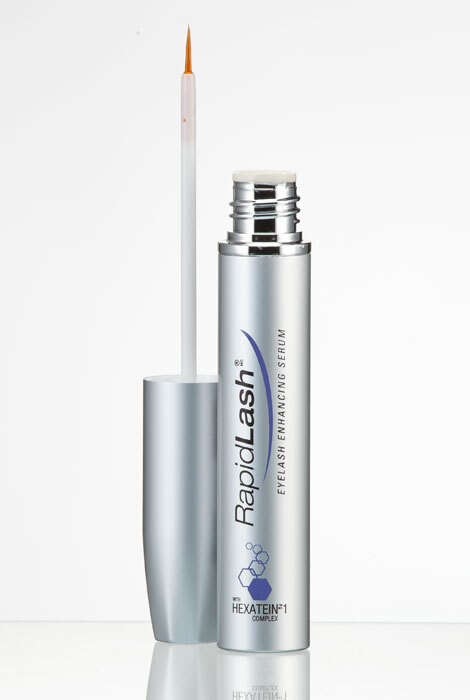 Fortify your way to lush, healthy lashes and brows with this high-performance RapidLash eyelash and eyebrow enhancing serum that works in as little as four weeks. 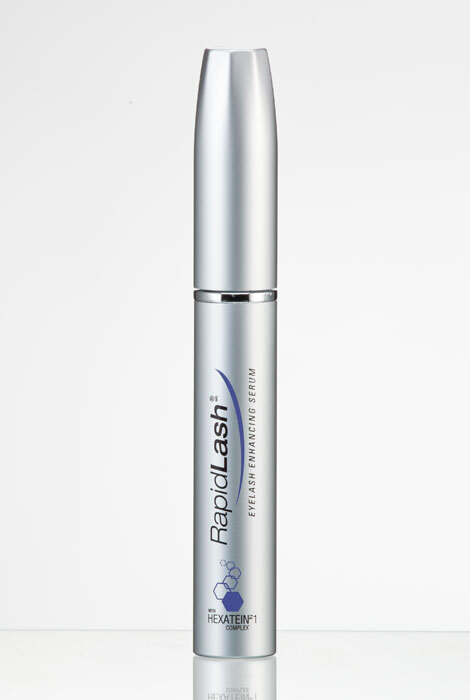 Approved by ophthalmologists, dermatologists and millions of beautiful women, RapidLash™ eyelash enhancing serum is formulated with an exclusive Hexatein™ 1 Complex, infused with proteins, peptides, vitamins, minerals, amino acids and botanicals that nourish, moisturize and condition lashes and brows to encourage healthy growth, while enhancing existing lashes and brows with new shine and sheen. Safe for contact lens wearers, the gentle, non-irritating eyelash enhancer formula is free of parabens and fragrance. Apply eyebrow serum with applicator brush once daily in the evening before bedtime. 0.1 fl. oz. This is by far the best eyelash serum I have ever used. You can really notice a big difference within about 2 weeks. Very thick and long and my lashes do not fall out easily like before I started using this product. I find this product produces results! Used years ago and was effective. Also it was on sale now!! Tried before and like it. Ran out of my lash enhancer wanted to try this one. This works well. I did have some sensitivity at first, but that went away. Still the best one I've found. Used before; it works fine. Have used this product before, and it works. I have used before and know that it works. I hope to get thicker, longer eyelashes from this product. I picked it because it says it will enhance mt lashes and eyebrows. does it change eye color? BEST ANSWER: Not at all. It only improved the length of your made a without side effects. I still use it and highly recommend this product. I have used this product for approximately three weeks. My eyes are still the same color. Any possible negative side affects? BEST ANSWER: Thank you for your question. There are no side affects in the documentation we received from the vendor on this product. We hope this information will be of help to you. I did notice some eye irritation when I first started using the product. This has improved. BEST ANSWER: Thank you for your question. The ingredients are Water, Butylene Glycol, Hydroxyethylcellulose, Glycerin, Myristoyl Pentapeptide-17, Rhizobian Gum, Sodium Hyaluronate, Biotin, Panthenol Pantethine, Hydrolyzed Glycosaminoglycans, Allantoin, Cucurbita Pepo (Pumpkin) Seed Extract, Maris Aqua/Sea Water, Dipotassium Glycyrrhizate Octapeptide-2, Copper Tripeptide-1, sh-Polypeptide-1, Glycine Soja (Soybean) Oil, Black Sea Rod Oil, Phenoxyethanol, Chlorphenesin, Sorbic Acid. We hope this information will be of help to you. BEST ANSWER: Thank you for your question. This is made in the US of A.We hope this information will be of help to you.